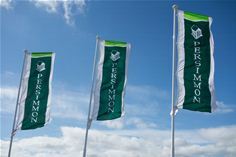 March 14, 2019 - Oxford Direct Services (ODS) has assisted Persimmon Homes, one of the UK’s most successful housebuilders, with Highways Adoption at seven of its development sites around Oxfordshire over the past 18 months. The experience of ODS’s Highways team as contractors for the Oxfordshire County Council Highways Authority helps the developer bring the roads and footpaths of its new estates up to standard quickly, speeding the adoption process. ODS has carried out remedial works for Persimmon Homes at sites including Tilbury Fields, Cumnor Hill, Cranbrook House, Northcourt Mews, Quakers Court, Priory Park and Medhurst Way. Under Section 38 of the Highways Act 1980, developers can ask the Highway Authority to adopt new roads that have been constructed as part of the development. Adoption means the highway authority agrees to maintain the road at the public expense. Before the agreement, the developer must complete any works specified by the Highway Authority to bring the road up to standard. There is also often a requirement for the developer to deposit a returnable bond to cover the Highway Authority in case the developer is unable to complete the works, for example, as a result of insolvency. In April 2018, Oxford City Council transformed its direct services operations into a wholly-owned company, ODS, which operates like a social enterprise. Over 700 staff were transferred to the new organisation. ODS delivers a wide-range of services to over 150,000 residents, businesses and organisations in the Oxford area including highways and engineering, waste and recycling, street cleaning, construction, property and grounds maintenance. The new structure allows ODS to offer its services to other commercial customers with all profits generated being reinvested back into the community, via the city council.